Triboelectricity refers to the electrification of dissimilar objects or materials occurred due to the collision resulting in the phenomenal flow of electrons from one material to other balancing the potential difference. The process of rubbing materials against each other increase the surface contact producing an electric charge which is termed as triboelectric effect. The phenomenon can be exemplified as rubbing a comb through hair producing static electricity or frictional contact between a plastic pen and sleeves; given the fact that strength of polarity is unpredictable and depends on the collided materials, roughness of the surface, temperature as well as strain . Triboelectric effect is known for thousands of years. Although this is one of the most frequently experienced effect that each and every one of us inevitably uses every day, the mechanism behind triboelectrification is still being studied possibly with debate. It is generally believed that after two different materials coming into contact, a chemical bond is formed between some parts of the two surfaces, called adhesion, and charges move from one material to the other to equalize their electrochemical potential. The transferred charges can be electrons or may be ions/molecules. When separated, some of the bonded atoms have a tendency to keep extra electrons, and some a tendency to give them away, possibly producing triboelectric charges on surfaces. A video below discusses the possible mechanisms of the trboeletric effect in more details. The researchers have pointed out troboelectric effect as a process of energy harvesting formulating the basis of many researches in the varying fields. In the modern era, triboelectric effect is a familiar concept in aircraft industry. Static charge is produced during the frictional collision of aircraft against air creating static wicks on the airframe. NASA has defined a triboelectrification rule following which decision about the launch of spacecraft is made. Since flying the spacecraft through high level clouds can result in P-static generation interfering the transmission of radio signals; therefore launch is cancelled. Following the rule, telemetry transmission may be prevented by sending messages signaling flight termination. In such situational context, space wing along with the observer personnel is deemed to be responsible for the decision making about further steps while indicating the clear skies. The effect of triboelectricty has gained industrial importance within the context of both safety as well as potential damage attributed to the chances of ignition; however this can be prevented by taking certain measures in order to diminish the effect of igniting vapours specifically at the time of fueling. Besides that, protective counter measures are required to be followed while dealing with such sensitive components. Triboelectrification effect is likely to occur for insulators than for conductors. Insulators can capture and accumulate sufficient amount of transferred charges. The build up of the charges can cause serious damage by causing ignition and explosion of flammable vapors. An example of such a disaster is an explosion of Falcon 9 rocket of SpaceX. Any material has triboelectric effect. However, the ability of a material for gaining/losing electron and thus the severity of the effect depends on materials polarity. The first triboelectric series was published by John Carl Wilcke in 1757. Table below gives such a series for some conventional materials. A material towards the bottom of the series, when touched to a material near the top of the series, will attain a more negative charge. The further away two materials are from each other on the series, the greater the charge transferred. Source of the table: AlphaLab. Column 1 (this col.): Insulator name. Col.2: Charge affinity in nC/J (nano ampsec/wattsec of friction). Col.3: Charge acquired if rubbed with metal (W=weak, N=normal, or consistent with the affinity). Col.4: Notes. Polyurethane foam 60 +N All materials are good insulators (>1000 T ohm cm) unless noted. Sorbothane 58 -W Slightly conductive. (120 G ohm cm). Box sealing tape (BOPP) 55 +W Non-sticky side. Becomes more negative if sanded down to the BOPP film. Hair, oily skin 45 +N Skin is conductive. Cannot be charged by metal rubbing. Solid polyurethane, filled 40 +N Slightly conductive. (8 T ohm cm). Magnesium fluoride (MgF2) 35 +N Anti-reflective optical coating. Nylon, dry skin 30 +N Skin is conductive. Cannot be charged by metal rubbing. Glass (soda) 25 +N Slightly conductive. (Depends on humidity). Paper (uncoated copy) 10 -W Most papers & cardboard have similar affinity. Slightly conductive. GE brand Silicone II (hardens in air) 6 +N More positive than the other silicone chemistry (see below). Cotton 5 +N Slightly conductive. (Depends on humidity). Acrylic (polymethyl methacrylate) and adhesive side of clear carton-sealing and office tape -10 -N Several clear tape adhesives are have an affinity almost identical to acrylic, even though various compositions are listed. Styrene-butadiene rubber (SBR, Buna S) -35 -N Sometimes inaccurately called “neoprene” (see below). Solvent-based spray paints -38 -N May vary. EVA rubber for gaskets, filled -55 -N Slightly conductive. (10 T ohm cm). Filled rubber will usually conduct. Gum rubber -60 -N Barely conductive. (500 T ohm cm). Carton-sealing tape (BOPP), sanded down -85 -N Raw surface is very + (see above), but close to PP when sanded. Olefins (alkenes): LDPE, HDPE, PP -90 -N UHMWPE is below. Against metals, PP is more neg than PE. Neoprene (polychloroprene, not SBR) -98 -N Slightly conductive if filled (1.5 T ohm cm). Viton, filled -117 -N Slightly conductive. (40 T ohm cm). Epichlorohydrin rubber, filled -118 -N Slightly conductive. (250 G ohm cm). Hypalon rubber, filled -130 -N Slightly conductive. (30 T ohm cm). Butyl rubber, filled -135 -N Conductive. (900 M ohm cm). Test was done fast. EDPM rubber, filled -140 -N Slightly conductive. (40 T ohm cm). Teflon -190 -N Surface is fluorine atoms– very electronegative. 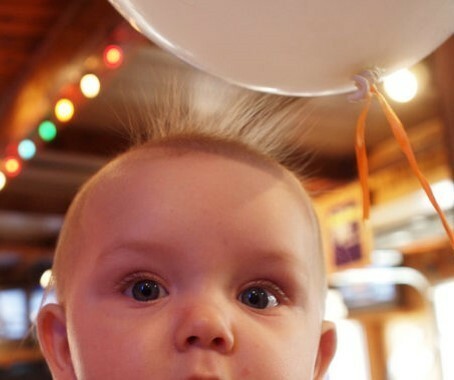 An example of a device that uses triboelectric effect to produce static electricity is known as Van de Graaff generator. A simple Van de Graaff generator consists of a belt of rubber (or a similar flexible dielectric material) running over two rollers of differing material, one of which is surrounded by a hollow metal sphere. How does a generator look like and how it operates is shown on the video below. Recently (in 2012) a triboelectric nanogenerator (TENG) was invented, aiming at harvesting small scale mechanical energy (see ). The device harvests triboelectricity generated due to mechanical contacts with the difference from van de Graaf machine being miniaturized. The discovery of triboelectric nanogenerator (TENG) is a major step in the field of converting mechanical energy into electricity for building self-powered systems. Currently, the area power density produced by a TENG has reached as high as 500 W m−2, volume power density reaches 15 MW m−3, and an instantaneous conversion efficiency of *70 % has been demonstrated. The TENG can be applied to harvest all kinds of mechanical energies that are available but wasted in our daily life, such as human motion, walking, vibration, mechanical triggering, rotating tire, wind, flowing water, etc. TENG can also be used as a self-powered sensor for actively detecting the static and dynamic processes with potential applications as mechanical sensors for touch pads and smart skin technologies. Such sensor does not need an external power source, but creates electric signal itself in responding to the external triggering or stimulation. Furthermore, by integrating TENGs into network structure, it has the potential to harvest water wave energy in ocean, which could be a new paradigm for mega-scale blue energy.
. Triboelectric nanogenerators as flexible power sources, Yang Wang, Ya Yang & Zhong Lin Wang, https://doi.org/10.1038/s41528-017-0007-8.
. Triboelectric Nanogenerators, Wang, Zhong Lin Lin, Long Chen, Jun Niu, Simiao Zi, Yunlong, 2016.